On Saturday April 30 the globally first robot protest march will take place in Zurich, the financial capital of Switzerland. 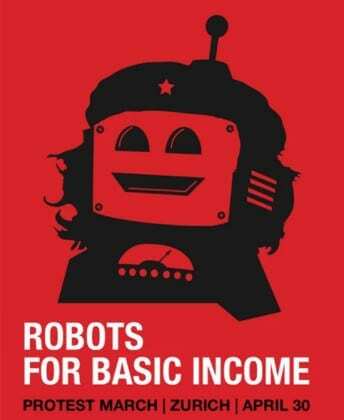 With more than 100 robots dancing in the streets and hundreds of supporters, the event is a major call for an Unconditional Basic Income. On 5th June 2016, Switzerland will become the first country worldwide to hold a national referendum on the introduction of an Unconditional Basic Income (UBI). According to the organizers, the main idea of an UBI is to secure the basic needs of human life unconditionally. It stresses the topic of human self-determined freedom.